Giveaway: Win My Favorite Label Maker! No guessing that your girl keeps it simple around here. It’s all in the business / blog name. But when I say simple – I mean it! Organizing itself is the act of streamlining, simplifying, de-cluttering…giving you room and space and air to breathe. Getting organized is not about making life complicated, stressful or a burden to keep up with. It’s supposed to bring you freedom and peace. When I organize for families, the end goal is delivering a functional space that works not only now but for the future. Families grow, evolve, change – and the organization systems need to do the same. I keep systems simple to maintain, realistic for their busy lifestyle and when product is incorporated it has to work for the now…and the long haul. It must be something we can tweak, adjust and move around later. If they are going to invest in organizing solutions, I prefer items that can be edited and re-purposed over time. Useful for more than one small phase of life. When it comes to labeling these projects, I always keep it simple. For all my years in business, I’ve been exclusively using a P-touch label maker on all organizing projects. It’s not that I have the worst handwriting in the world, but there are days my hand isn’t as steady as it could be (ahem…too much coffee that morning)…and most importantly, we want to ensure the labels can easily be updated over time. P-touch TZe tapes come off clean and make updating a snap. These labels are classic and simple. Timeless. They don’t rub off like a chalk or paint pen do – there is nothing more annoying than seeing a beautifully organized space with smudged labels. Trust me, I’ve seen this a lot in the field. P-touch TZe tapes do not damage your furniture, drawers or shelf fronts. Again, I’ve used this label maker on nearly every project and have revisited / reorganized many spaces for families…I’ve removed / updated countless labels. Love how easy they are to work with! I’ve been looking for a reason to use the pastel shades – so pretty! I’ve been sharing organization projects online for years. Recently P-touch discovered my use of their label maker and reached out to partner with us for the month of September. I was thrilled when they contacted us because I am all about celebrating your organizing efforts…and your time following along here / on social. I love to see how the spaces I’ve organized inspired you to tackle projects of your own! So P-touch and I have teamed up this month to see YOUR organization before & after photos! Not only will you have a chance to win a P-touch label maker of your own, but you / your before & after will be featured on the Simply Organized Instagram Story and the P-touch Essentials Instagram Story too! So excited!!! To be featured on P-touch Essentials, reply to their comment on your post with #brotheriagree. For more info, please read their terms and conditions. 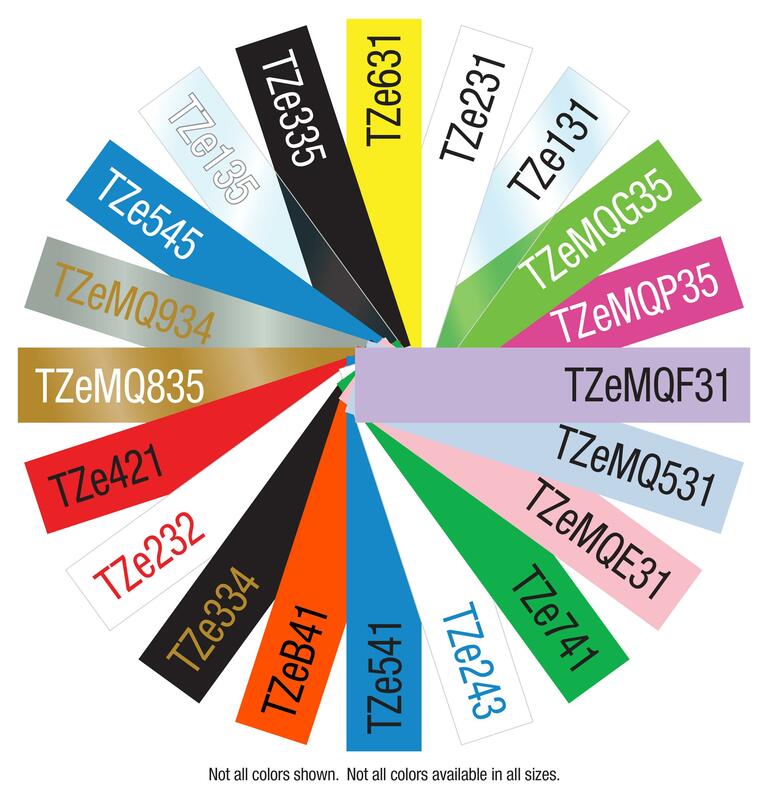 Three winners will receive a PT-D400 label maker, two TZe tapes and be featured on our Instagram accounts – so fun! We are looking forward to seeing your organization before & after photos! Thank you for joining us and we are excited to choose the winner in just a few weeks! *I have partnered with P-touch Essentials for this blog post and giveaway. All opinions and commentary on my love of this label maker are 100% mine and genuine! I love my P-touch label maker, too! I’ve been wanting a label maker badly! I just entered. Hoping I win but even if I don’t, I’m planning on buying it for myself. I love organization and your blog gives me so much inspiration!!! I’m already dreaming of what I can label! Growing up I had one of those old school label makers and I labeled EVERYTHING!! I need an upgrade for sure! This would be so awesome. New to the organizing communinity and this would help so much! Love your blog. Great stuff and so inspiring! Hope I win I definitely need the p-touch.